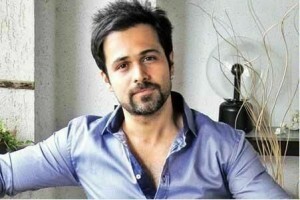 Emraan Hashmi is on a roll with a string of back-to-back hits at the box office. The first trailer of his keenly awaited supernatural thriller, Ek Thi Dayaan, will be unveiled soon. Produced by Ekta Kapoor and Vishal Bhardwaj, the film, which has been directed by newcomer Kannan Iyer, also stars Huma Qureshi, Kalki Koechlin & Konkona Sensharma. It is Balaji’s first release in 2013. The film, which has been in the news for a while now, will see the launch of its first trailer on January 11, more than 3 months prior to its final theatrical release on April 18. The trailer of the controversially titled Ek Thi Dayaan has been attached to the forthcoming Imran Khan-Anushka Sharma starrer, Matru Ki Bijlee Ka Mandola, also a Vishal Bhardwaj film. Those who’ve seen the trailer already, tell us that it is different and spellbinding, and one to grab a huge number of eyeballs! Stay tuned you can be sure we will bring you the first look just as soon as we get our hands on it!